Earlier this month, Mim and I spent a week and a half prototyping a new game called Super Happy Fun Sun. 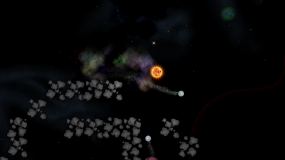 Players control a small sun that must orbit sleeping planets to bring light and life to them. The game mostly focuses on exploration and movement challenges involving gravity and inertia. SHFS was made using the Free/Open Source Software game engine Godot. It was my first time using the engine and aside from a few minor quirks and a Python-like scripting language, it was a pretty pleasant experience. Mim contributed sprites for the sun, asteroids, comets and planets, while my Dad worked on the menus and some progress saving code. The Super Happy Fun Sun prototype is available for Linux, Mac and Windows over on itch.io. There are currently no 32 bit Linux builds, but if anybody needs or wants one feel free to give me a nudge. 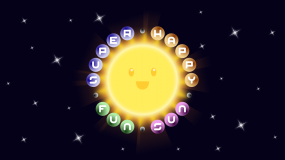 If you try Super Happy Fun Sun and enjoy it, totally let us know!